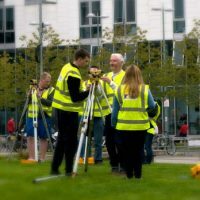 Climate Week Scotland 2018 took place last week, and it was a great opportunity to host events at the College aimed at raising awareness on issues regarding Sustainability. 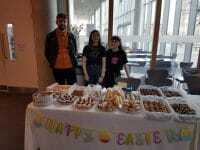 On Tuesday 2nd October, a screening of the film ‘Just Eat It’ was hosted at West End Campus. 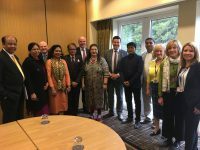 The film is a documentary focusing on the global issue of food waste, and how supermarket food cosmetics and marketing standards consequently result in millions of tonnes of food being wasted every year. Big thanks to those who attended! 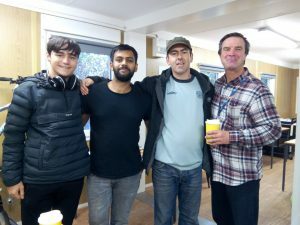 It was good to meet up with Art and Design students based at West End campus, and to hear their views and attitudes towards the issue of food waste – and to find out about their good food purchasing habits! 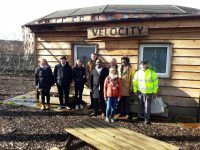 Wednesday 3rd October was one of our dedicated Active Travel Days, which took place at the Glasgow Kelvin Velocity Cycle Hub (Springburn campus). 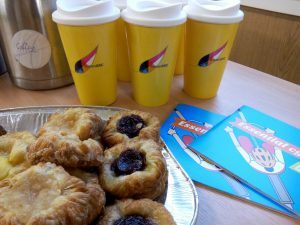 The day included a Bike Breakfast, in collaboration with the Student Association: this early event has been a great and enjoyable opportunity for students and staff, sharing a common interest in cycling, to meet up and enjoy a free breakfast. Thank you again to those who were able to attend! More Bike Breakfast events should happen during the next few months… Stay tuned! 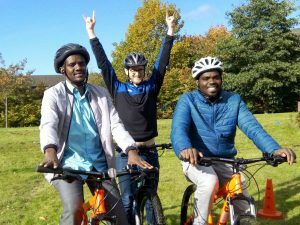 We also had a Dr Bike session running in collaboration with Bike for Good. 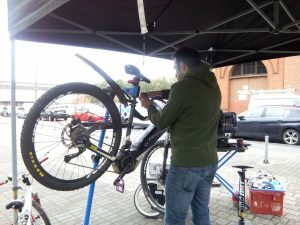 Thank you to Ricardo and Claudio from Bike for Good, for kindly helping our students and staff to fix and repair their bikes for free at lunch time! 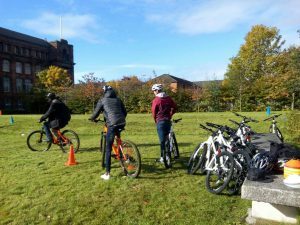 Finally, on Friday 5th October, you may have noticed the funny bikes invading Springburn campus… Thanks to Norman from Free Wheel North for sharing these bikes with us - students and staff had a great opportunity to give these a try, which was thoroughly enjoyed. 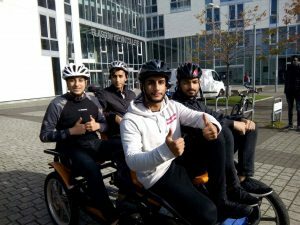 Undoubtedly, everybody had good fun; and we are keen to say that this event has certainly demonstrated that cycling is a fun activity and should be accessible for everybody. On top of that, Rab, a Go-Ride Cycling coach, came along and gave everyone a chance to try out a mountain bike and attempt the trail set up on the grassy area at the front of the campus. Many students seemed keen to give it a go, enjoying the exhilarating ride! Rab was able to discuss and provide them with valuable tips regarding cycling. Did you miss it all? Don’t worry, Sandra, our Campus Cycling Officer is preparing more events to come!